Latest News: Take a look at the NEW Bio Paddles and Brew Lab test kits! Our range of Food and Beverage testing products will help you maintain the standards necessary for your industry. The LaMotte range of test strips offers a convenient, economical way to perform spot checks for several quality factors. 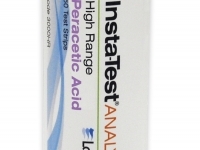 LaMotte test strips are a great way to monitor safety standards without having to use reagents or field kits. 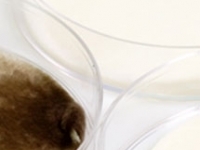 BioPaddles are flexible dual-agar paddles each containing microbe-specific media enclosed in a sterile vial. Identify and quantify microbes in air, soil, water or any surface! BioPaddles do not require any other testing equipment - only a magnifer and warm place (35°C or incubator) are needed. > Ready to use. Saves time! > Reduced cost and waste. > Longer shelf life than traditional Petri dishes. > No need for inoculating loops or Bunsen buners. > Unique design enhances colony morphology characterization. BioPaddle products - all packaged 10 paddles per box. Includes a technical information sheet. Micro testing without a Macro Investment!